It’s Graduation season once again! A time for celebration and rejoicing for young adults as they move on to their next journey. Graduation season is filled with parties and fun but for some step-parents it can spell isolation and disaster. This time of year can be a main cause for stress and anxiety for members of blended families. Being a step-parent, step-sibling, or other step-family member can be dreadfully awkward around this time. Will you be invited? Will you make others feel uncomfortable? How should you act around the biological family members? These differences can make it hard for many to find their comfort zone at family events such as weddings, graduations, reunions and more. Without further ado here is what step family members should keep in mind to minimize stress and hopefully have a good time. Do not be afraid to communicate. If you want an invitation, then ask for an invitation. Don’t assume anything if you haven’t received an invitation because although you might be thinking the worst, the graduate might not even realize they have forgotten to invite you. Additionally, most high school graduates leave everything involving graduation for the last minute. By college, they get better organized but not by much. Ask for an invitation if you’re a step family member who hasn’t received an invitation to the fast-approaching commencement date. Okay, you made it to the ceremony but you might be nervous as to how you should handle the situation. Just relax and take it one step at a time. The first things to remember are your manners. Step-family members may be seated with the biological family members so it’s important to be polite. Making an effort to get along with the biological family members will be much appreciated by the graduate. Yes, you are excited to be at this celebration and you want to hug and get pictures with the graduate but it’s important to remember the biological family members are more excited. It may not be what you want to do, but you need to let the biological family get the first hugs, kisses and pictures. Furthermore, if you are invited to dinner after the ceremony, let the biological family members sit closer to the graduate. If they want you closer, they’ll let you know. Everyone loves a gift and this is the perfect occasion for one. Make sure not to get anything too big and spectacular. Make it simple and modest. If you overdo the gift it may look like you’re showing up the biological family members. If you’re insistent on purchasing a large, expensive gift then try to make it a group purchase and make sure you have the biological family’s permission to give that gift at the event, after party or dinner. Don’t take it personally or hold resentment. A non-invite to graduation could be the result of a limited number of tickets. Unless you have a damaged or rocky relationship with the graduate, don’t take that “no” personally. If you aren’t invited to the after party or dinner, it’s not the end of the world, or the end of your relationship with the graduate. Remember that this day is about the graduate and what he or she wants. 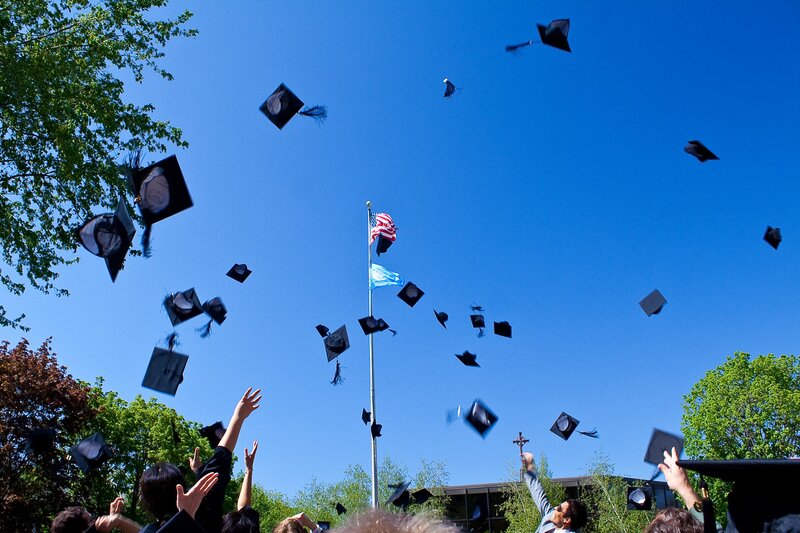 Hopefully, these tips can be helpful to you during this graduation season. And remember to have fun, be polite and communicate.